There’s nothing more refreshing after a round of 18 than a cocktail. 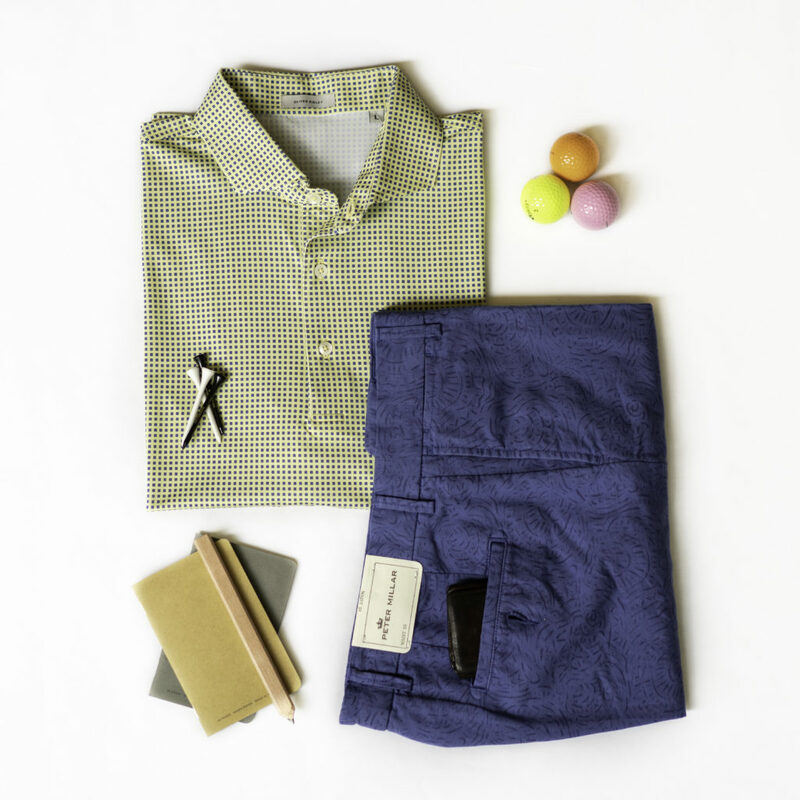 In the past, we have felt obligated to change out of our golfing digs and slip into something more formal. Not anymore! Here’s how to take your outfits from the tee box, to the fairway, to post-18 drinks. 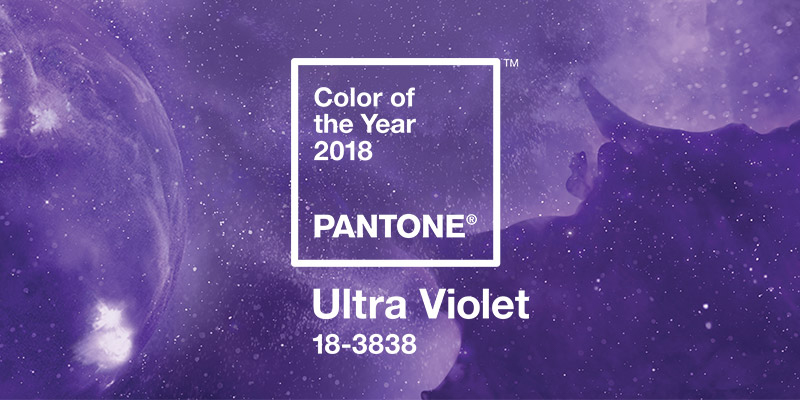 Pantone named UltraViolet color of the year 2018. This vibrant hue adds a great pop of color to any outfit. Don’t be afraid to use this color for an accent as a solid or part of a pattern. 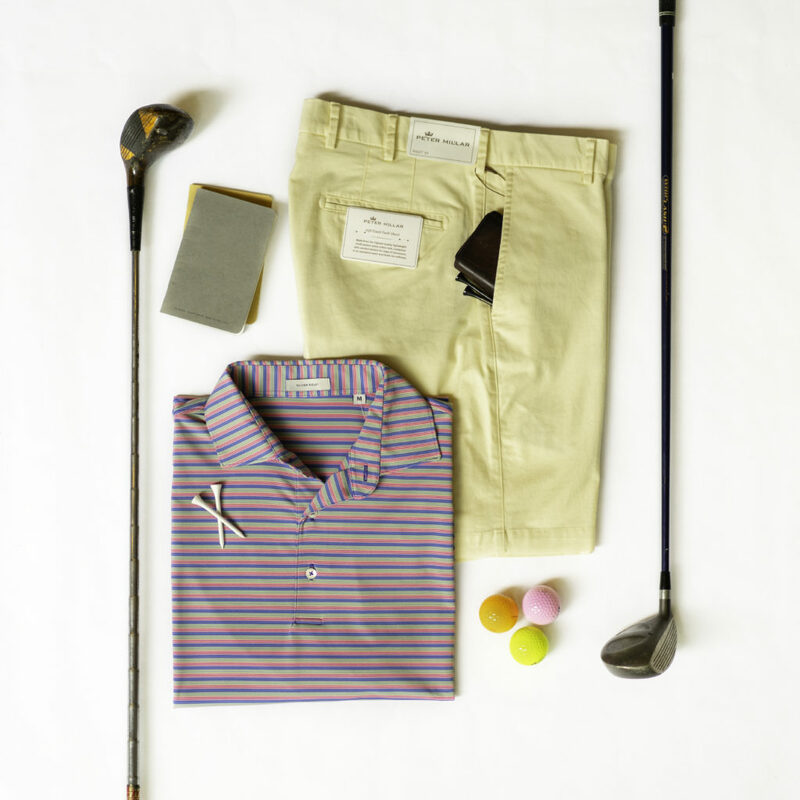 When boosting your golf wardrobe, look no further than Peter Millar. This trusted brand is known for pushing color palette boundaries while maintaining a classic identity with their cuts and styles. The polo is a timeless golf staple. The lightweight fabric, like in these polos from Oliver Ridley, will make you feel like you’re wearing your favorite t-shirt. Its wrinkle-free, synthetic blend will keep you cool and fresh even under the harshest of heat from both the sun and your competition. Dress like a pro for the next round and introduce prints to your wardrobe. Whether they are bold or subtle, prints are a great way to express your personal style on and off the course. A good print exudes confidence and sophistication when done well. We know, diving right into the print pool can be daunting, so try wading in slowly with these styles. Gone are the days of subtlety and subdued colors; florals, animal prints, and bright colors have been spotted across the PGA Tour this year. This summer’s hottest colors are pastels and jewel tones. Elegant emerald, classy coral, and glamorous gold hues are taking center stage. Try working these rich colors into your golf ensemble to stay on-trend. Classic cuts are back, with a twist. Look for straight fit-to-flare skirts in soft, stretch fabrics, like the above. Stylish clothes don’t have to be uncomfortable. Especially during the hot summer months, comfort and breathability are key. When you look and feel good, you’ll play your best game. Accessories dress up any outfit, helping you take your outfit from day to night effortlessly. On the course, comfort is key. A lightweight knit, like this V-neck from Lilla P, offers the needed breathability but the same polished look you crave. 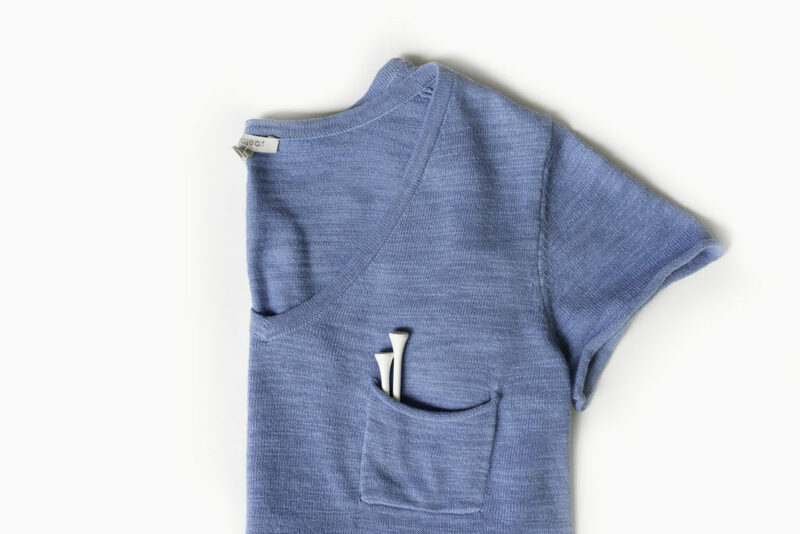 The simple design makes this shirt easy to take from day to night effortlessly. Add some jewelry like a chic necklace and you’re ready for dinner at the club! Now are you ready for cocktails after a round of 18?